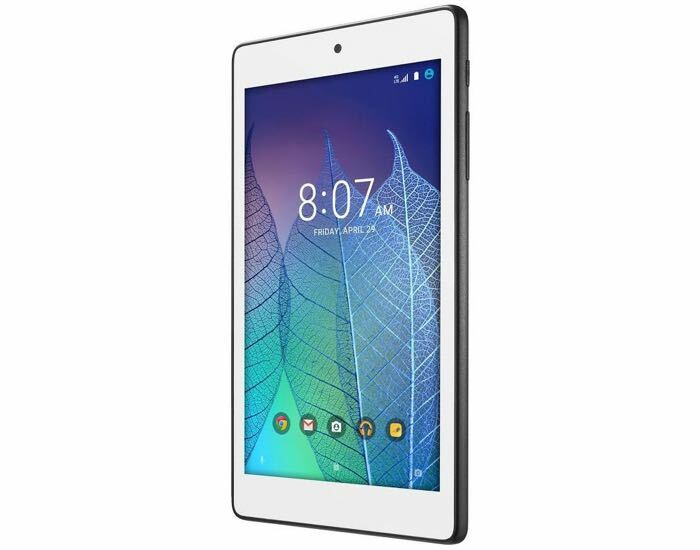 T-Mobile has launched another new Android tablet on its network in the US, the Alcatel OneTouch POP 7 LTE. The Alcatel OneTouch POP 7 LTE cost $129.99 on T-Mobile and the device is also available on the company’s monthly installment plan for $5.42 a month over 23 months. The tablet features a 7 inch display with a resolution of 1024 x 600 pixels and it is powered by a quad core Qualcomm processor clocked at 1.1GHz. Other specifications on the device include 1GB of RAM and 8GB of built in storage, there is also a microSD card slot which supports 32GB cards. The tablet also comes with dual cameras, on the front there is a 2 megapixel camera and on the back there is a 5 megapixel camera, the tablet comes with a 2420 mAh battery and 4G LTE. You can find out more details about the Alcatel OneTouch POP 7 LTE on T-Mobile at the link below.